Beer & Brewer is now in its 11th year of celebrating the beer industry and lifestyle in Australia & New Zealand. 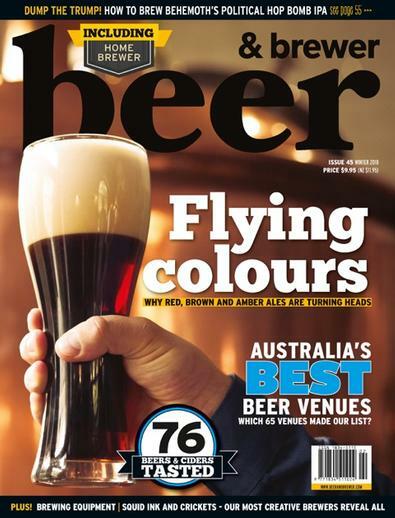 Each issue serves up the latest beer news, travel ideas, beer & food matching, home brewing tips and recipes and tasting notes on beers, cider and whiskey. it is the best subscription for any Beer Lover. good well balanced information about all things BEER.